You are about to uncover a treasure chest of information that will take your happiness to the next level! When you practice this detachment technique daily, the magical manifesting powers hidden within you will begin to surge throughout your life. The magical art of detachment is based on a teaching that is thousands of years old. The wise Buddha once said, “Attachment leads to suffering” which also leads to weakening ones ability to manifest the life of their dreams. What the Buddha means is that you HAVE to HAVE it manifest in order for you to be happy today. An attachment to any thought, feeling, object, person (or anything for that matter) is based on fear, lack and worthlessness. When you’re living from love, trust and self-worth, you are detached from your goal, breathing in a trusting space, allowing the Universe to handle the details for you. If you want to increase your ability to attract, create and magnetize anything you want, it requires you learn total mastery of this law. Attachment is always based on the fear that you don’t have the power, energy, information or desire to manifest your dream, therefore it won’t show up unless you try extra hard and never let it go. The instant you are become attached to any idea, your body creates a hook, anchor and tight tension around that thought. Buying into that one little idea becomes the main leading cause of your happiness and unhappiness. Being attached to anything you end up blocking your energy and positive vibrational flow. 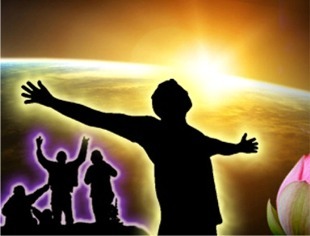 Always depending on the outer world for your joy, success and love is a sure way to find a future feeling of failure. When your happiness is determined by any thought, feeling, or external event, then you become a slave of your life, and the never-ending cycle of suffering begins. So I’m sure you’re asking by now, how do we become non-attached? The first step is to completely unravel your ego and KNOW what are the things and experiences that it is ALWAYS searching, yearning and seeking? Is it searching for security, success, power, fame or something that will give it instant gratification? Research yourself deeply and explore the truth of who/what you are. What habits are you in? You see, a mind that becomes attached to a certain thought (for pleasure or security) has simply forgotten its connection to the Divine Infinite Source inside. The mind has been misguided to believe that the feeling of success comes from attaining a certain outcome. Watch out for this societal hypnotism and symptom in others! It is very prevalent out there. It is the main reason why your mind continues to fall again and again back into the experience of suffering. The attached ego will always believe that only through hard work and exhausting efforts it will someday reach Nirvana. This couldn’t be further from the truth! All that struggling takes one away from appreciating and basking in the divine Source that is already here now. We must find balance in life and remember that the real work we are here to do is not on the outer world, yet the inner. The ego is very forgetful, and doesn’t like to know that it is already directly connected to a Source of infinite power and energy. This would put it out of a job. Yet, this internal eternal love source is the ONLY place you can find true, everlasting security. The ego being the cling-master-of-fear and ultimate skeptic that it is, hasn’t learned how to trust life. It is always afraid it will be duped. The Ego thinks this Universal power is not real, permanent and trustworthy, which is why it always clings to thoughts, things, feelings, people and memories. If it began to trust the Universe to provide all its needs, it would stop working hard, retire its illusions and all your suffering would eventually die. So what are actually attached to having, being or doing in your life? What is that one thought that causes you great distraction from remaining excited about manifesting the life of your dreams? Behind every distraction is a saboteur, and lurking beneath the saboteur is an attachment. I recommend you take 5 minutes now to write down everything, thought, feeling or memory that you truly feel overly attached to and think it may be causing you suffering. This is a GREAT exercise and can actually be a lot of fun to do. After you have a few things that you’d like to release your attachment to, then do this releasing exercise below…enjoy! I invite you to do this exercise before you go to bed tonight and when you wake up tomorrow morning. Imagine in your right hand is a deflated orange balloon, which is attached to a string. Put the string in your left hand and start blowing all your attachments, problems, issues, and worries into this HUGE balloon. You have a magical breath that can breathe the thing (or thought) you are attached to right out of your body! The more attachments you put in, the lighter the balloon becomes. When you have emptied yourself completely, the balloon automatically closes its valve and you let go of the string! It begins to float straight up into the sky. Watch it move far away from your life. In the areas of your body where you released the attachments, breathe in a warm golden light. Feel the sense of relief and lightness in your body now that it is free from all attachments, worries and concerns. Take 3 minutes after you have done this exercise to meditate on the idea that you are infinite, eternal, and will never die. Return to this awareness throughout your day and you’ll experience a tremendous shift in your ability to manifest the life you desire. 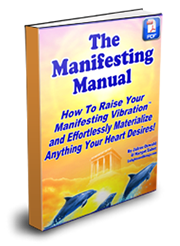 If you’d like to learn the secrets to manifesting your heart’s desires without being attached to them, I recommend doing the Super Manifesting Program! It will dramatically improve your ability to manifest anything you desire! 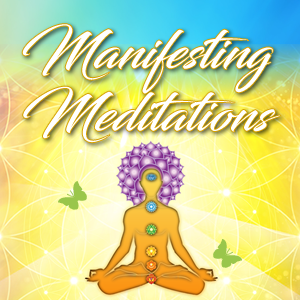 It contains 12 manifesting meditations and 4 enlightening e-books with a plethora of manifesting techniques that will allow you to discover that YOU are an infinite Soul who has absolute power to create anything you desire…and a whole lot more! Have fun with the Super Manifestor within you!